For this segment, I created what I call "Baker's Boxes". They are cake-style gift boxes. 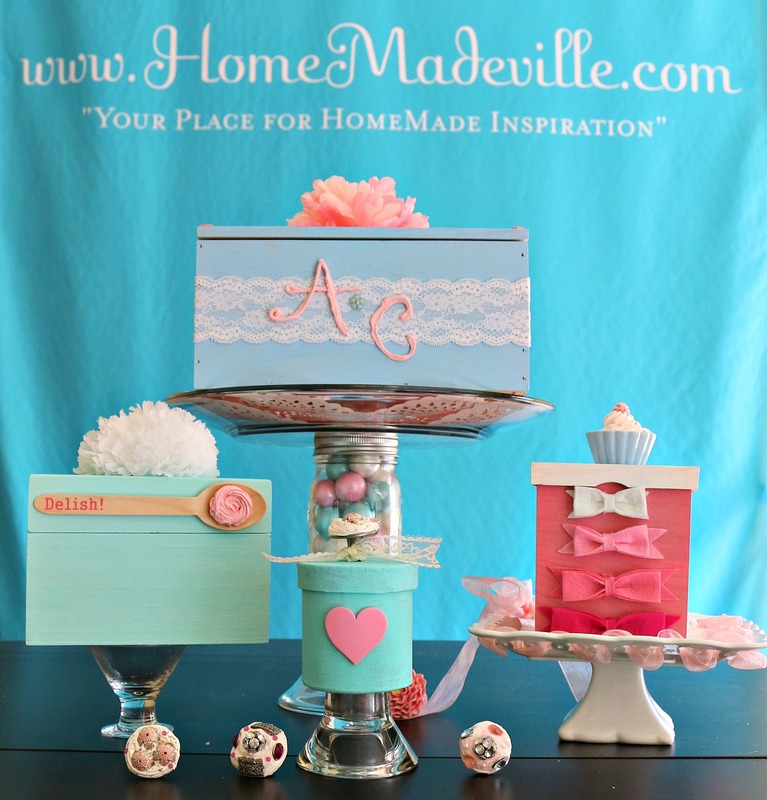 Although I was inspired by those who love to bake, and the ones who love those who love to bake, these gift boxes can be used for any gift of love. 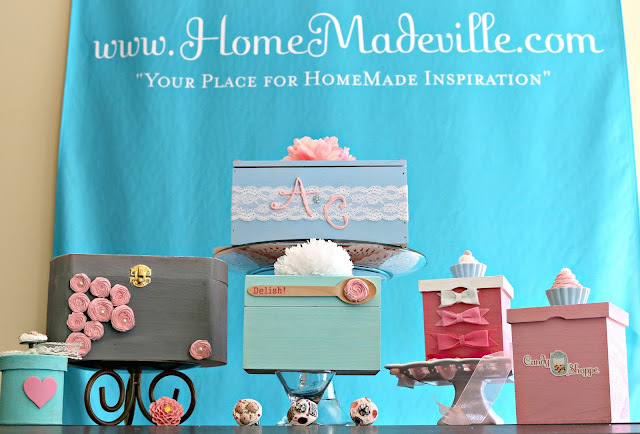 Kids are delighted by their delicious look, and as you will see in the video, the recipe box is an ideal gift to pass down from one generation to the next, or for a bride-to-be. 1. Pick a cardboard or wooden box to use as your creative gift box. 2. Paint each box with acrylic craft paints. 3. Create the cake-inspired design of your choice with Collage Clay! If you haven't heard of collage clay, it is a craft clay that allows you to create an icing look that will harden permanently. 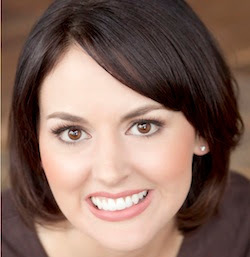 Atlanta & Company's host, Christine Pullara is so funny! I was so glad she asked the question -- no, you can't eat it. You can checkout one of my previous posts about Collage Clay here: Collage Clay Cabinet Knobs. I recommend that you practice your collage clay designs on wax paper to ensure you get the finished look that you are hoping to achieve. You can then pipe the collage clay directly to the box or prepare them on the wax paper, peel them off, and hot glue them to their ultimate location. 4. While your collage clay is still wet, embellish with glitter, beads, trinkets, and more. 5. Let the Collage Clay dry according to the package directions. 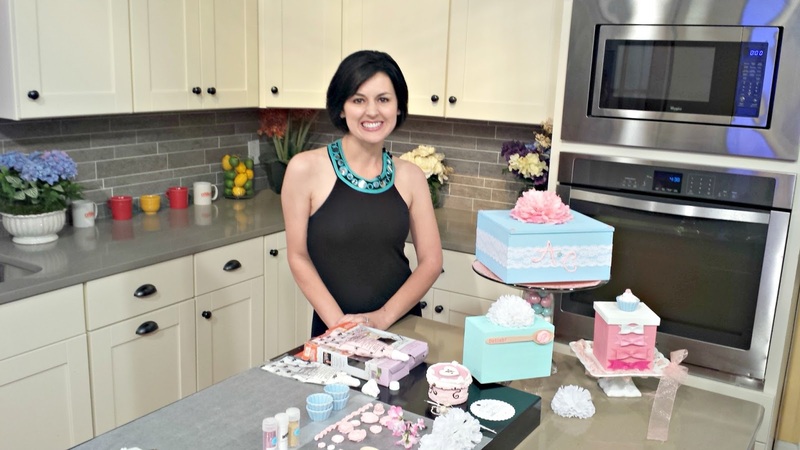 To see just a few ways I used the collage clay, checkout my Atlanta & Company segment above. As always, please let me know if you have any questions about my project or the products I used to create the baker's boxes.